Lynnhurst Family Resort is located near Murray on Kentucky Lake, in the far western part of Kentucky. The resort is easily accessible with most of the drive on four-lane highways. Lynnhurst Family Resort is an expansive, multi-acre vacation playground with many different types of accommodations available to suit your needs. 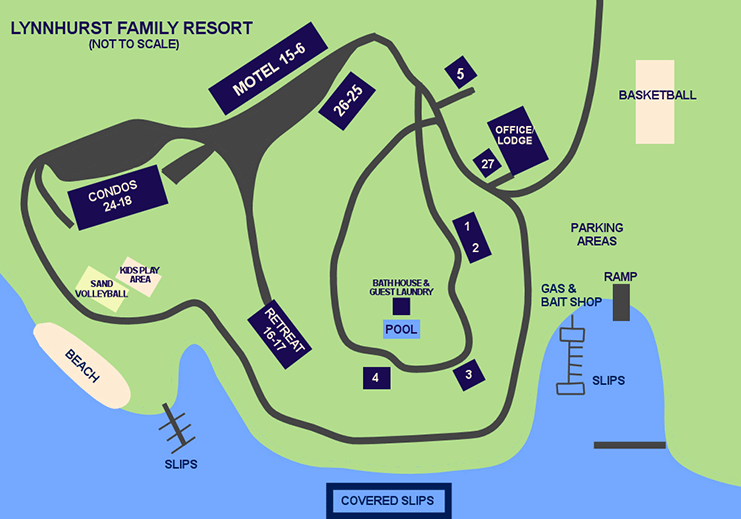 Use this map to find your way around our resort.